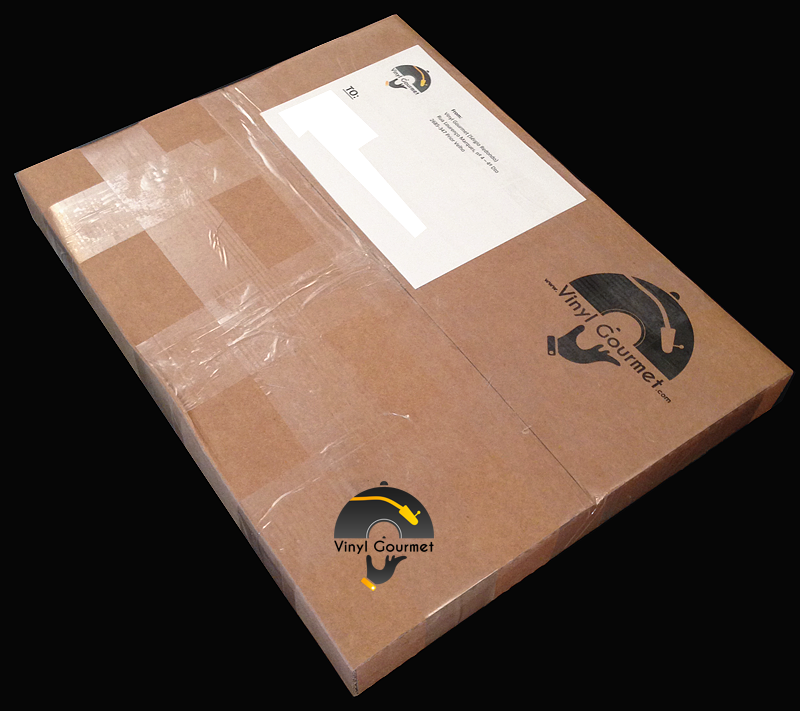 After many years collecting records, selling and buying vinyl LP's online from all kinds of sellers and stores worldwide and shipping LP's to almost every country we can think of, we now know a thing or two about how to properly package and send vinyl LP's safely. Taking advantage from that long learning curve our goal is to build on that knowledge and experience to provide a complete service that was conceived from the start to eliminate most of the problems usually associated with sending records through the mail. Vinyl records face all kind of challenges being shipped in a box but by far the two most common issues are bumped or Crushed Corners caused by poor box design and flimsy packaging, and Split Seams caused by the LP records themselves bouncing inside the cover against the cover edges and spine eventually cutting through them. Normal packaging techniques and boxes that are not specifically created to protect vinyl records can't keep them safe and we've had these problems hundreds of times when buying records from all kinds of sources. To eliminate the Split Seams problem, there is only one fail proof way to solve it, that is to take the LP records outside of the covers and place them side-by-side for shipping, by doing this it is impossible for the records to cut through the edges. 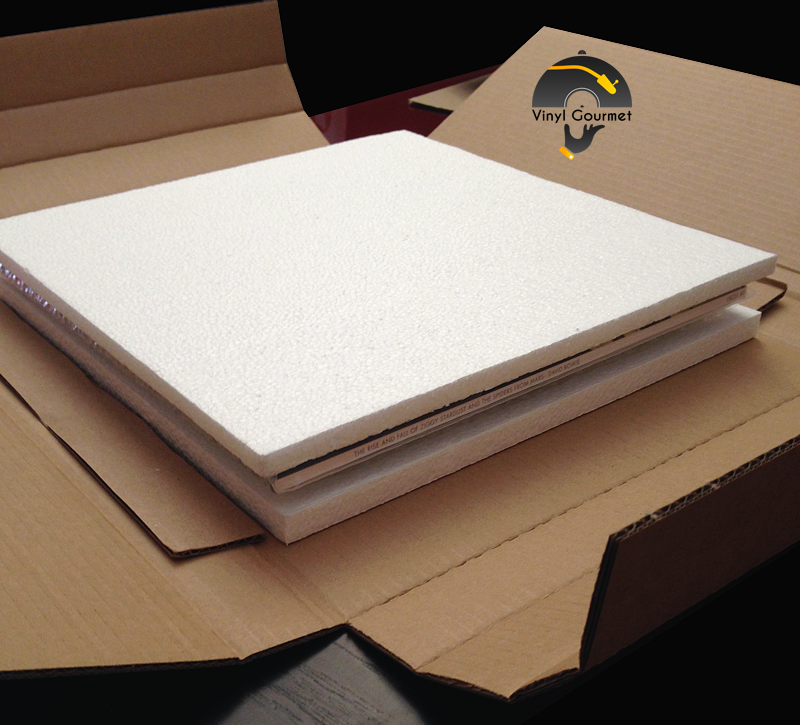 To achieve this it is necessary to open the packaging of sealed LP's, but the benefits of doing so makes it the best option when in fact most LP's will be opened up the minute they arrive at your home. As music lovers and collectors ourselves, we know exactly how to do this, opening only the side of the cover that is necessary to remove the LP records, keeping the shrink-wrap in place over the cover to preserve the original appearance along with every single detail that is part of the original package like stickers or cards or inserts, everything is kept in place and in pristine condition so that you receive the new LP exactly like that: New and safe! As for the records themselves they're kept inside the original inner sleeves and safely enclosed in protective wrapping. This service is offered completely free by Vinyl Gourmet because we know how this problem can be frustrating and can cause a lot of stress to the buyer, and the solution is quite simple and effective. Sure it takes us more time and more work to deal with orders, but the safety of your records and your satisfaction when they arrive is what counts! 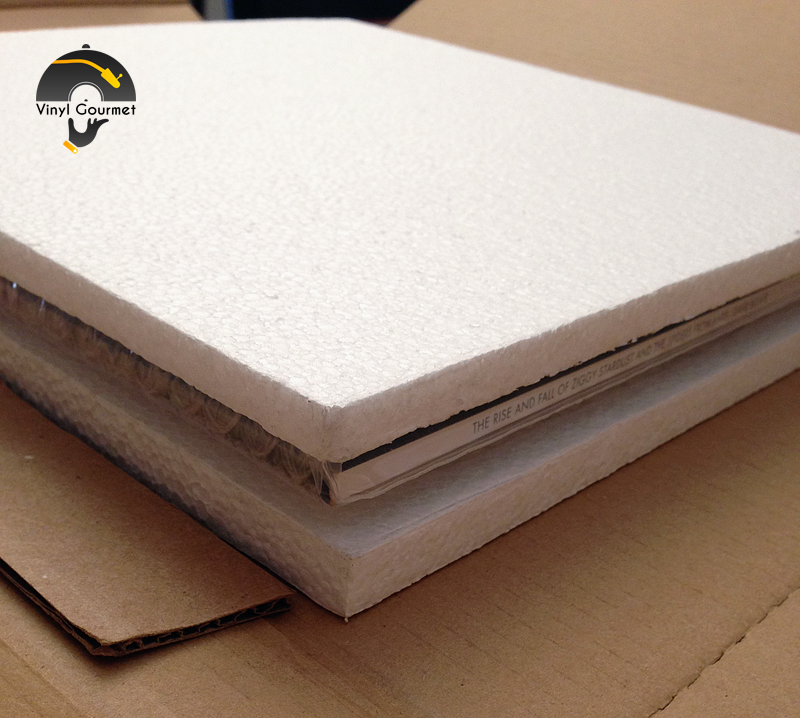 As for the Crushed Corners issue, the solution is not so simple and straightforward, from experience we knew all along that the only way to avoid that cover corners are bumped is to use really well designed and sturdy boxes, and to use appropriate packaging technique and materials. This meant we had to design our own box because there simply was no valid option already in the market, at least not like we wanted when it comes to box size and weight, cardboard resistance to perforation and impact, folding type and contents protection to effectively prevent Crushed Corners. 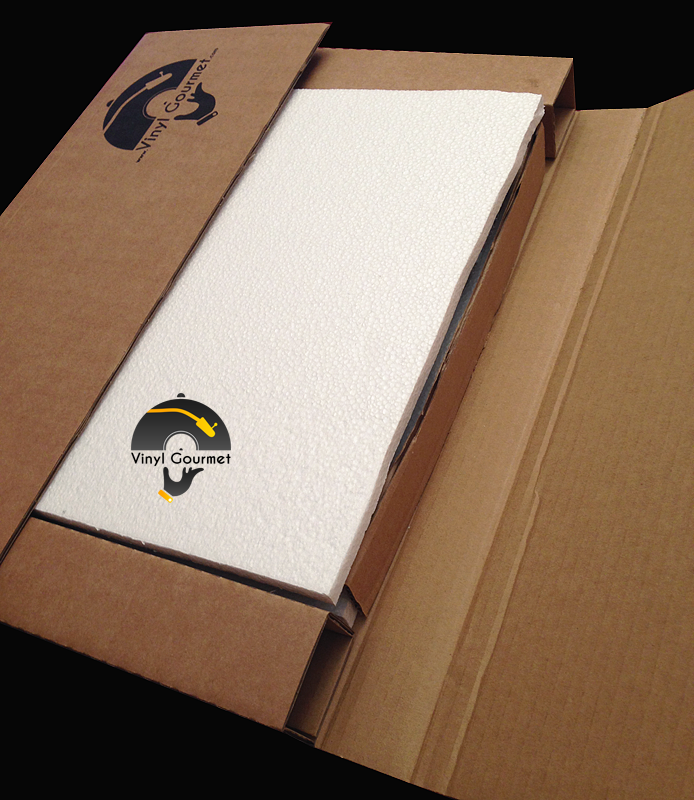 Our custom designed box uses the best cardboard available that is applicable to mail order boxes, and it was designed with empty "crash-safety" areas on the sides that effectively move the corner sections of the records inside the box to an area where they can't be reached by the strongest of impacts even if the exterior box corners are damaged as there is enough safety margin between the outside and the inside of the box. These special design features, along with the highest quality of the materials used on and inside the box, as well as our own packaging techniques, are a perfect combination that will give you peace of mind when ordering records from Vinyl Gourmet. 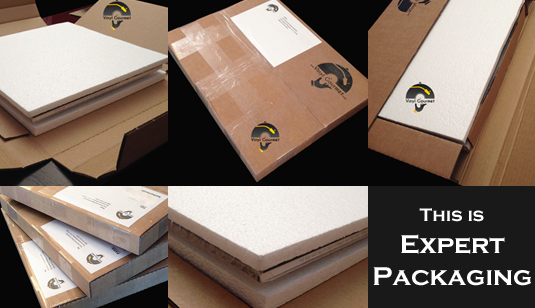 - The Expert Packaging service is optional, if you prefer to receive your items sealed inside our custom designed boxes, simply don't select the Expert Packaging option at Checkout, instead select "None". - All Vinyl Gourmet orders are shipped in our custom designed boxes, regardless of the Expert Packaging option being selected or not. Even without Expert Packaging option being selected you'll receive your order packaged with the same boxes and using the same advanced techniques, the only difference is that the records will be shipped factory sealed instead of being opened to prevent Split Seams. - This service and all other Vinyl Gourmet services might not be available at all times, for example if we have already too may orders with service requests and are not able to fulfill all of them as fast as we should and with the same quality and dedication as always. If during Checkout this service is not available to be selected on Step 4 "Vinyl Gourmet Services, Extras and Shipping Options", it means the service has been temporarily disabled and cannot be added to your order at that time. - Images show an example from several different Packaging methods or strategies we use, these may vary depending on destination of the package, quantity and type of contents. We will always use the safest and most adequate method for each particular case.